Maria and I have known each other for decades and have worked together for several years. We both have good reputations, stable incomes, and plenty to keep us busy. 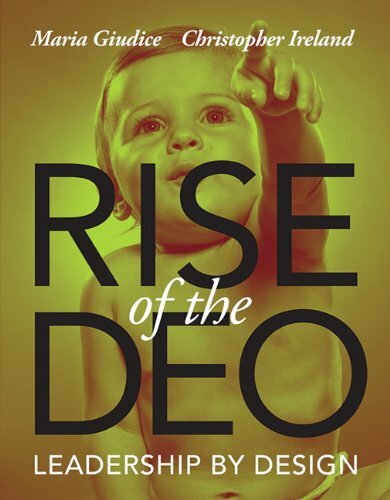 So why did we decide to write Rise of the DEO–a book that risks our reputations, adds little if nothing to our income, and took hundreds of hours to complete? The shortest answer is we had to. We’ve spent most of our careers trying to fit into a business world that didn’t make sense to us. We chose industries that were disrupted annually and we chose positions that didn’t welcome females. We survived because we constantly studied those around us–looking for what worked and what didn’t. We experimented. We took risks. We trusted our guts. As a result, we were able to build companies that attracted wildly talented people. People who could work together easily, whose egos didn’t clog the hallways, and whose sense of playfulness kept us sane. We were able to find clients who respected us and enjoyed collaborating with us. We found partners who didn’t judge us by our monthly numbers or ask for proof of our vision. We know that this style of leadership works. We not only successfully sold our businesses, we also raised healthy children and our husbands still love us. We may have a few grey hairs (purple in Maria’s case), but we’ve lived honest, rewarding lives. Stick with us over the next few months and let’s see if we can coalesce a community that admires DEOs, shares helpful advice, and highlights the benefits of leading by design. To make sure you don’t miss any posts, follow us on Facebook or Twitter or sign-up for our emails.